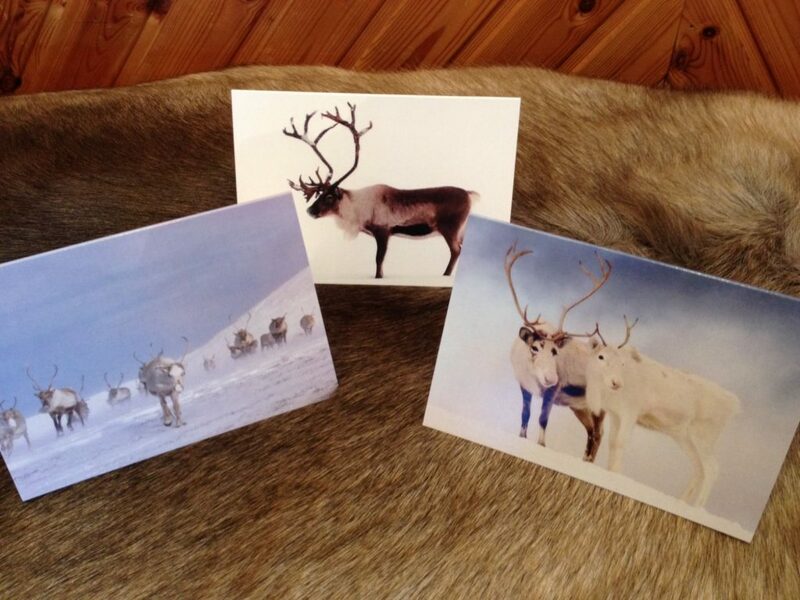 Here at the Reindeer Centre we sell a wide range of books, gifts and other reindeer-related products. We are pleased to offer a small selection online, but if there is something else you would like please get in touch with us via email or telephone and we may be able to help! INTERNATIONAL ORDERS: We offer international shipping at cost – please email us directly prior to ordering if you would like an order shipped overseas. 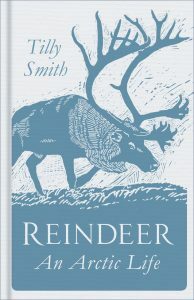 In this enchanting book, self-confessed ‘reindeer geek’ Tilly Smith leads the reader through the extraordinary natural history of the reindeer with charming anecdotes about the Cairngorm reindeer herd. Hardback 188 pages. 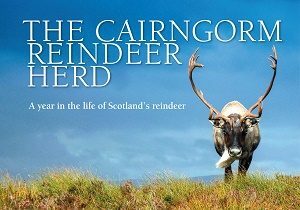 This handy-sized hardback photo book illustrates and describes the Cairngorm Reindeer Herd as they journey through the seasons in a new collection of over 70 pictures. 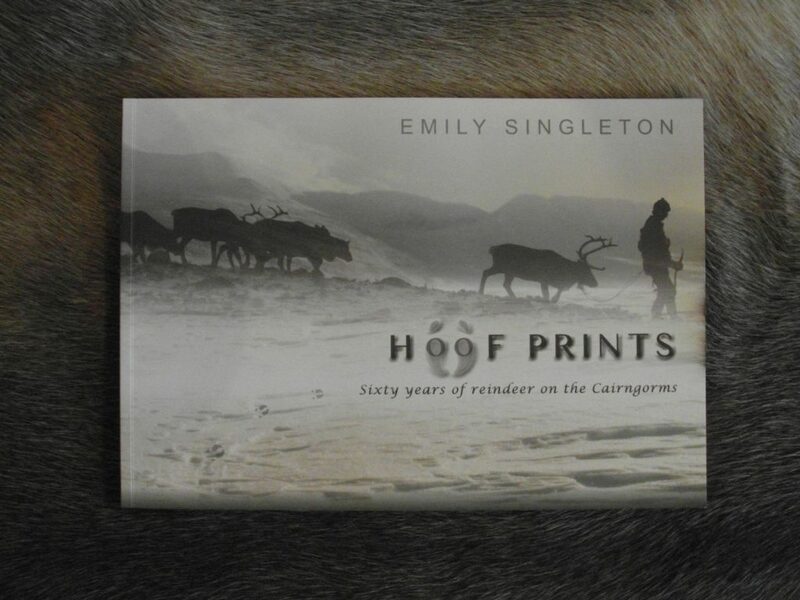 Hoof Prints is a nostalgic collection of time sensitive photos and press cuttings of the Cairngorm Reindeer, with stories and anecdotes taken from over the 60 years of reindeer on the Cairngorms. It begins with a brief biography of Mikel Utsi, and Ethel Lindgren, then moves through the years from the original reindeer grazing down in the depths of the Rothiemurchus forest to the high tops of the Cairngorms. 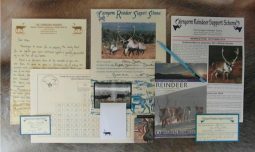 It tells the stories of herders come and gone and shows some spectacular photographs depicting the events over the past 60 years. 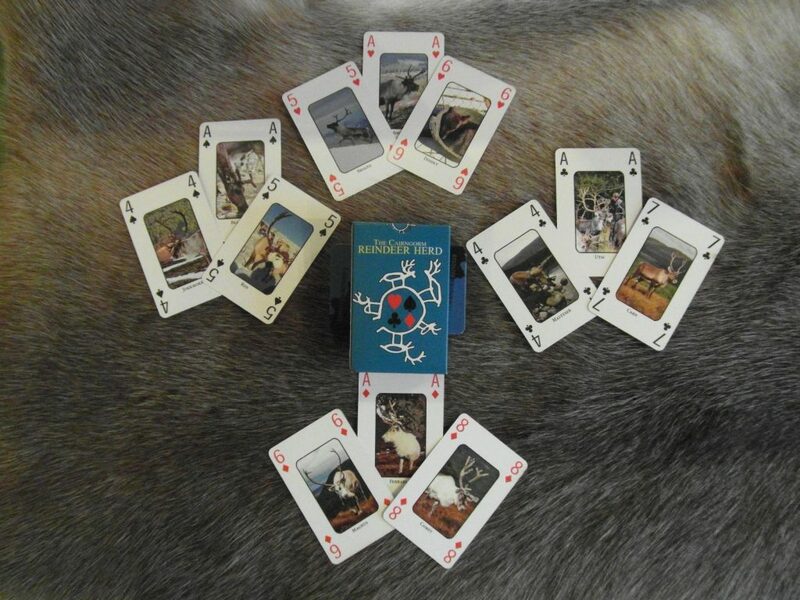 Our very own Cairngorm Reindeer Playing Cards – a full deck of cards, each with a beautiful photo of members of our herd and local sights. Great for Poker, Blackjack, and any other card game you know! We source our reindeer pelts from Finland, where the reindeer are still managed by the Sami people as free-ranging livestock. 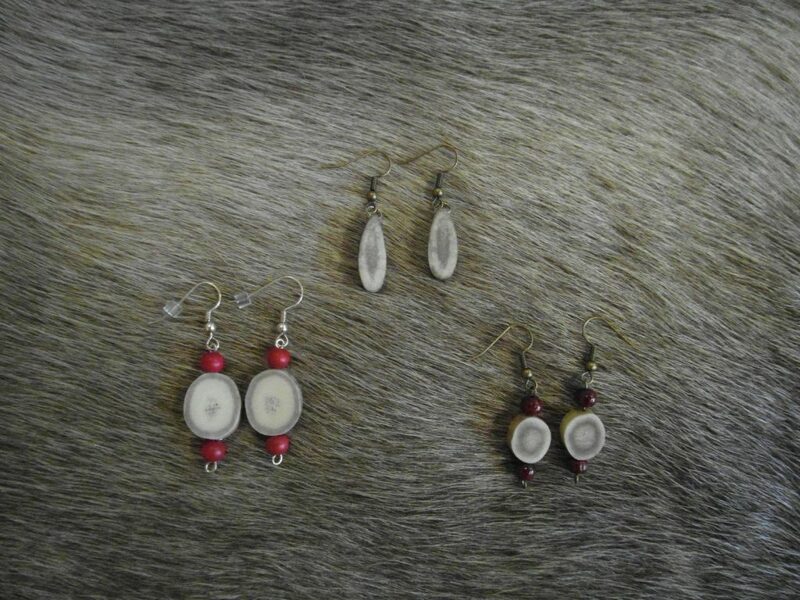 The Sami do not waste any part of the animal, and while the meat is eaten, skins are used for boots, clothes and bags, and are a valuable by-product. 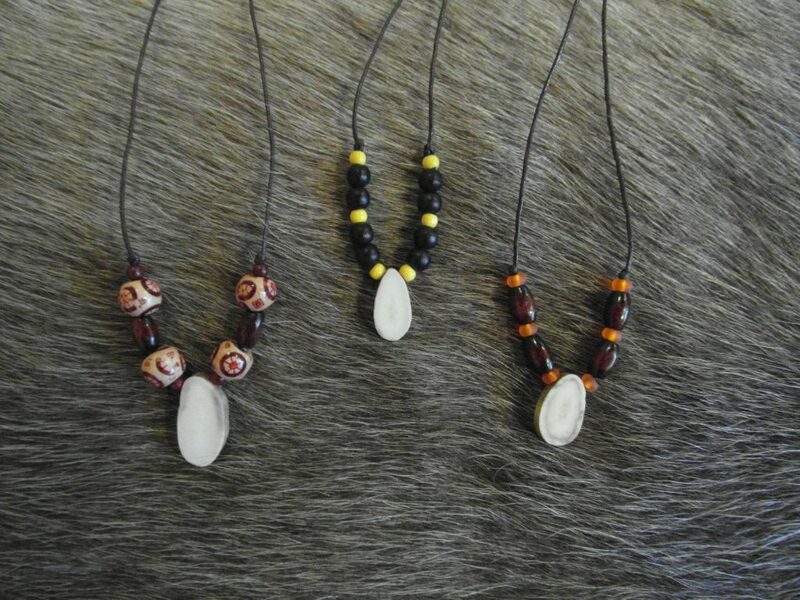 By selling the skins the Sami are able to supplement their income. 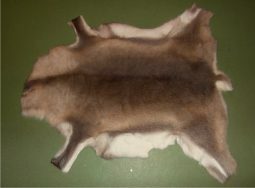 The reindeer are culled humanely and never for sport or just the skins alone. We therefore feel able to support their farming practice. Please note, whilst we will try to match your colour preference, we cannot guarantee it as it depends on the stock we have in. Fishing Fly made with reindeer hair, a naturally buoyant fibre. The hair is moulted naturally by our reindeer each spring. Great for keen fishermen (or fisherwomen!) or for display. Design may vary (one supplied). 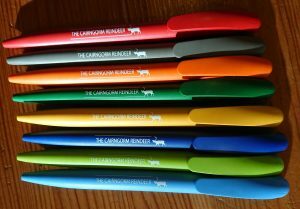 They are produced from ethically sourced sugarcane, in a hydro-powered factory, with a long life ink refill, and when it does finally run out it can be composted in your home compost heap! Long lasting black ink. We can’t guarantee the preferred colour but will send it if in stock (choose from dark blue, light blue, dark green, light green, grey, yellow, red, orange).